Vanquis Balance Transfer? | Can You Balance Transfer From Vanquis? Can you make a Vanquis balance transfer? Is a balance transfer from Vanquis possible? Which Vanquis balance transfers are allowed? These are all some of the most recent questions that we have seen UK credit card customers looking for answers on, around the topic of making a balance transfer from Vanquis. The Vanquis credit card is primarily a credit builder credit card. The card is designed for people with either no previous credit history, or for people who who have had credit problems, such as Count Court Judgements or CCJ’s, in the past. Many UK credit card customers use the Vanquis credit card to improve their credit rating. Customers can do this by making at least the minimum payment on time every month and staying within their allocated credit limit. 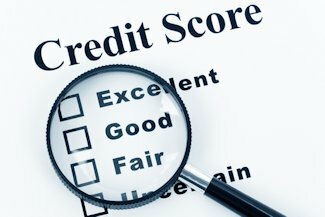 Over time, a customer’s credit limit can increase and with no further debt problems, their overall credit rating can also improve. This will then allow Vanquis customers to then apply for a new credit card that has a lower annual interest rate. Are Vanquis balance transfers allowed? Well, yes and no. We have seen that quite often Vanquis credit card customers get confused as to whether they can make a Vanquis balance transfer or a balance transfer from Vanquis to another credit card. This confusion often arises because Vanquis do not currently allow a balance transfer to be made from any other credit card to a Vanquis credit card. A balance transfer from Vanquis to another credit card is however allowed. This balance transfer is treated as a payment from the customer to Vanquis, even though the payment is actually made by the new credit card company. As a credit builder credit card, the Vanquis credit card has a high interest rate, currently a representative 39.9% APR variable. With such a high interest rate, many customers will look for a balance transfer from Vanquis to another credit card. A balance transfer from a Vanquis credit card does offer a customer an opportunity to save money by paying a lot less in interest. Many other UK credit cards will accept a balance transfer from Vanquis, although a customer will need to have an improved credit rating to successfully apply for any new balance transfer credit card. Vanquis credit cards are issued as a credit card using the Visa worldwide payment network. You can make a Vanquis balance transfer to either another Visa credit card or to a MasterCard credit card, such as the above Marks and Spencer balance transfer cards. So in summary, is a Vanquis balance transfer allowed? Can You Balance Transfer Store Cards?